Undefeated former world champion Jermall Charlo and once-beaten contender Hugo Centeno Jr. discussed their upcoming matchup before they step into the ring on Saturday, April 21 for the WBC Interim Middleweight Title live on SHOWTIME from Barclays Center, the home of BROOKLYN BOXING. The Premier Boxing Champions event is headlined by a showdown between four-division world champion Adrien Broner and two-division world champion Jessie Vargas. The SHOWTIME CHAMPIONSHIP BOXING® telecast begins at 9 p.m. ET/6 p.m. PT with former world champions Gervonta Davis and Jesus Cuellar battling for the WBA 130-pound Super Featherweight World Championship. Tickets for the live event, which is promoted by Mayweather Promotions, DiBella Entertainment and TGB Promotions, start at $50 and can be purchased at ticketmaster.com, barclayscenter.com or by calling 800-745-3000. Tickets can also be purchased at the American Express Box Office at Barclays Center. Group discounts are available by calling 844-BKLYN-GP. The Charlo vs. Centeno bout was moved from an original date of March 3 due to a Centeno rib injury, and now the rescheduled bout is just over a week away, with Centeno fully recovered from the ailment. Centeno will now finally face Charlo, the former 154-pound champion and one half of the devastatingly powerful Charlo twins, along with his brother, current 154-pound champion Jermell. For Jermall, this fight is a chance to begin making his mark in a second division. As Centeno winds down training camp at Wild Card Boxing in Hollywood with head trainer Eric Brown, he has made sure to focus on what will happen April 21 instead of any pre-fight talk or hype. “I am just excited by this opportunity,” said Centeno. “Charlo can say whatever he wants. None of it is going to affect me. On April 21, it’s just me and him in that ring and anything can happen. Centeno put himself back into the ranks of middleweight contenders with a highlight reel knockout of Immanuwel Aleem last August. Charlo, however, knows that he will pose a different set of problems for Centeno. Charlo has been hard at work in his hometown of Houston, working with head trainer Ronnie Shields. With the extended training camp, Charlo has had time to improve on his already lethal arsenal. 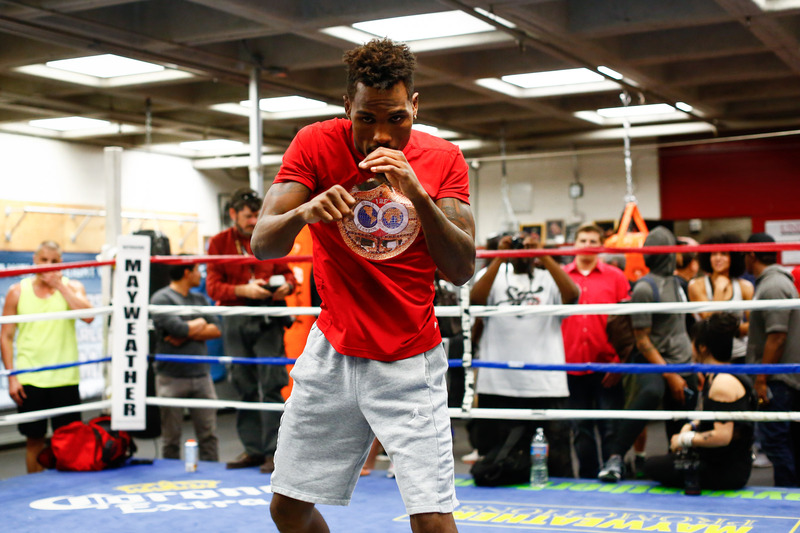 “I’m still improving as a fighter,” said Charlo. “I’ve gotten faster, sharper and I’m able to take more punches than I used to. I’ve been working hard to increase my punch output as well. Nobody can do what I’m doing in the ring. With fight night nearing, both fighters are gearing up to head to Brooklyn with the hopes of announcing themselves as a danger in the 160-pound division on April 21.